Johnson County is named for Richard Mentor Johnson, who was the ninth Vice President of the United States. 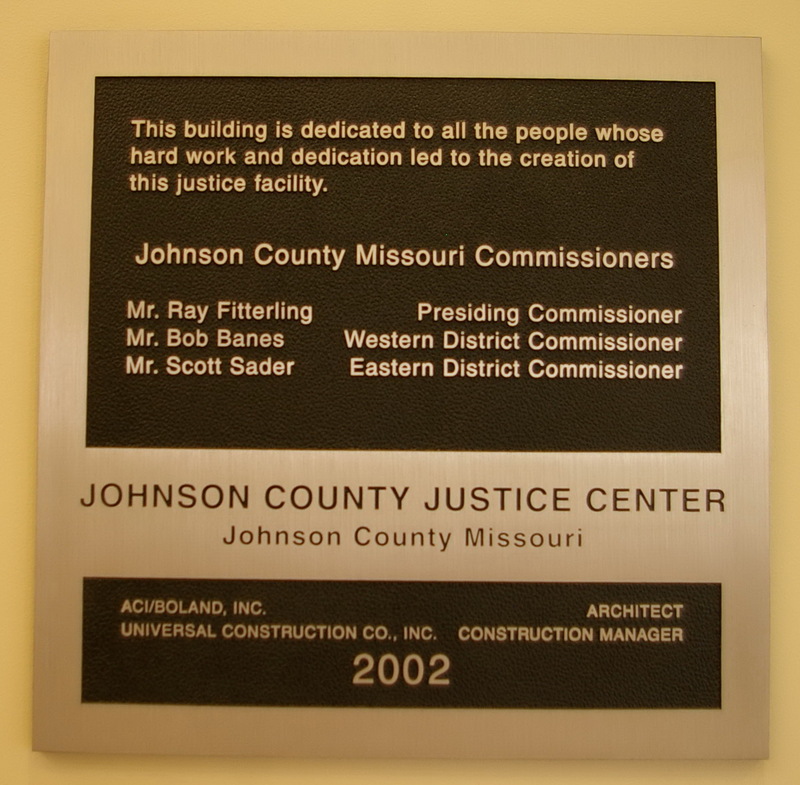 Contractor: J M Anderson of Emporia, Kansas. Description: The building faces east and is a two story Warrensburg sandstone structure. The building is 84 feet by 104 feet. The east front has a projecting center section rising to a peak with archway at the entrance and three arched windows on the second story. Each corner has a large square stone tower with domed roof. On the center of the roof is a square stone clock tower with dome. 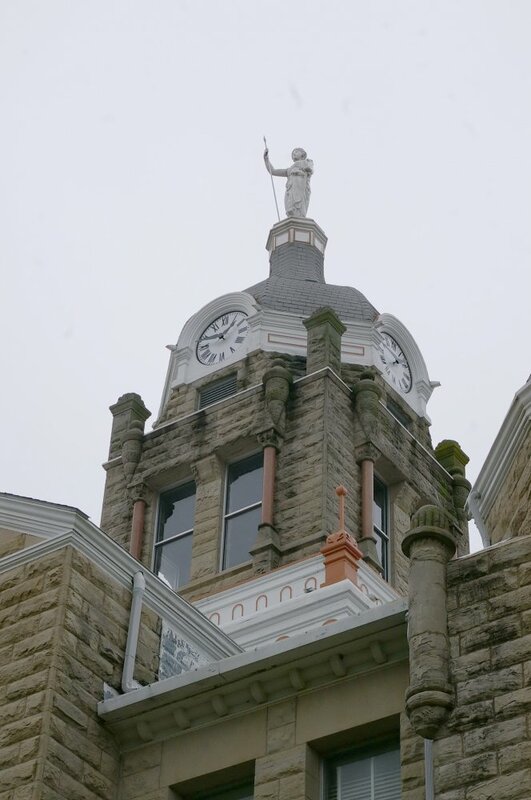 Atop the dome is a statue of Justice. The building is located on Courthouse Square. Note:: The lowest bid for construction of the courthouses was from J M Anderson of Emporia, Kansas at $49,885. 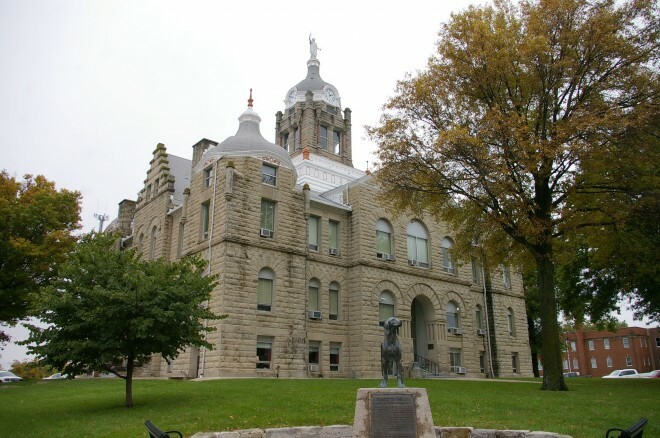 See: The architect, George E McDonald of Omaha, Nebraska, designed courthouses in Kansas in Elk County; in Missouri in Andrew County, Bates County and Lawrence County and in Nebraska in Fillmore County and Nuckolls County. Contractor: Universal Construction Company Inc. 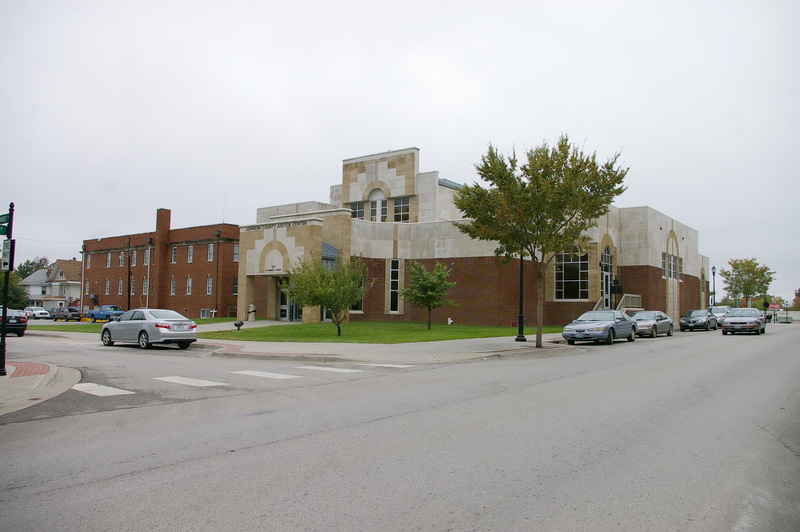 Description: The building faces south and is a two story red colored brick, concrete and glass structure. The south front has a projecting portico with recessed entrance. 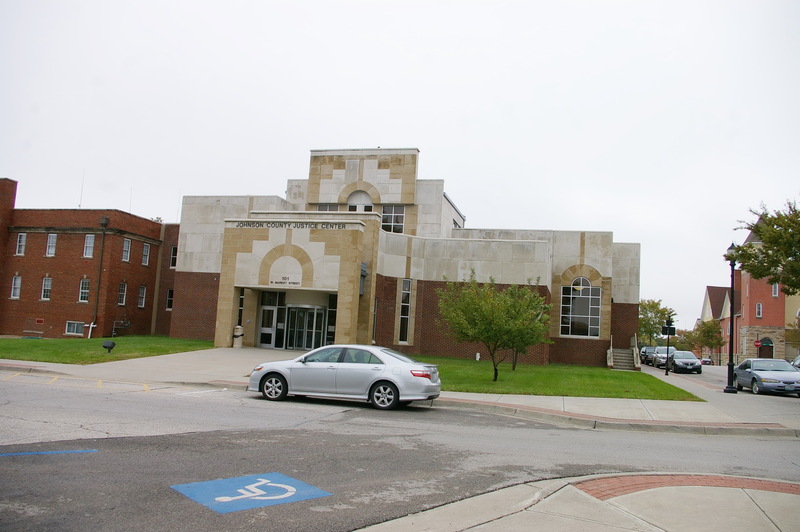 The top part of the building is white colored concrete. The second story is recessed. The roof line is flat. On the west side is red colored brick two story section. 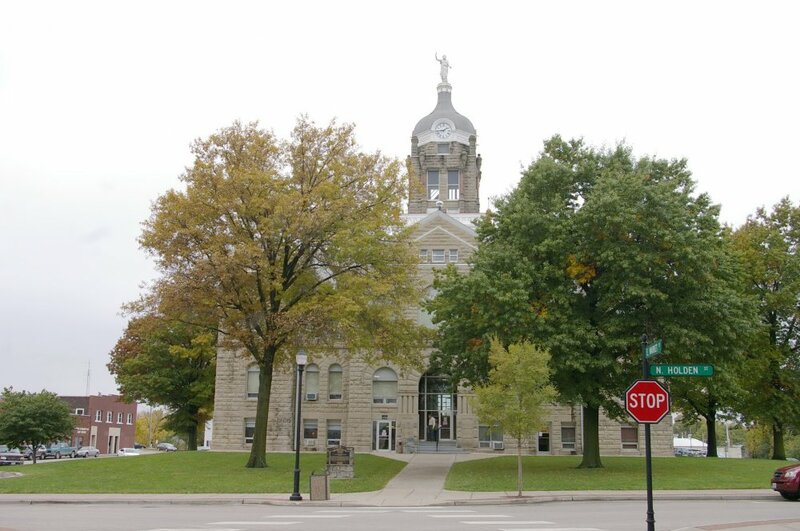 The building is directly north of the courthouse. 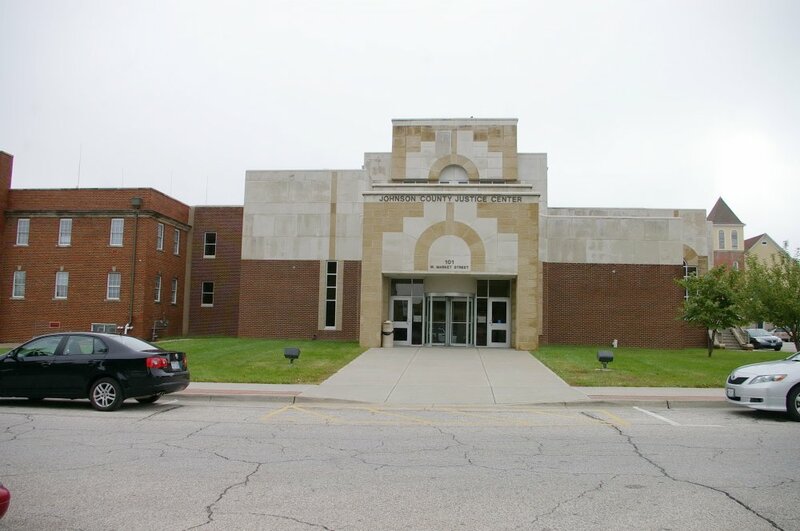 Description: The building faces east and is a two story cream colored stuccoed brick structure. The east front has a central arched entrance. 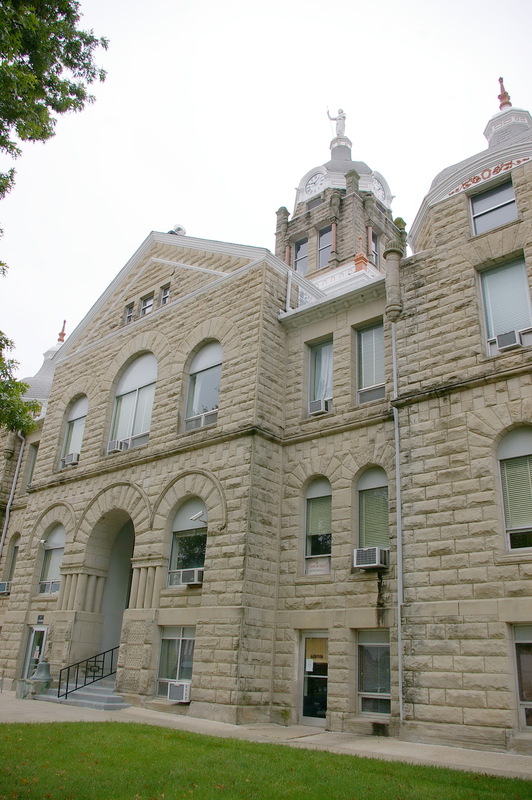 The foundation is locally quarried limestone. The roof is hipped. 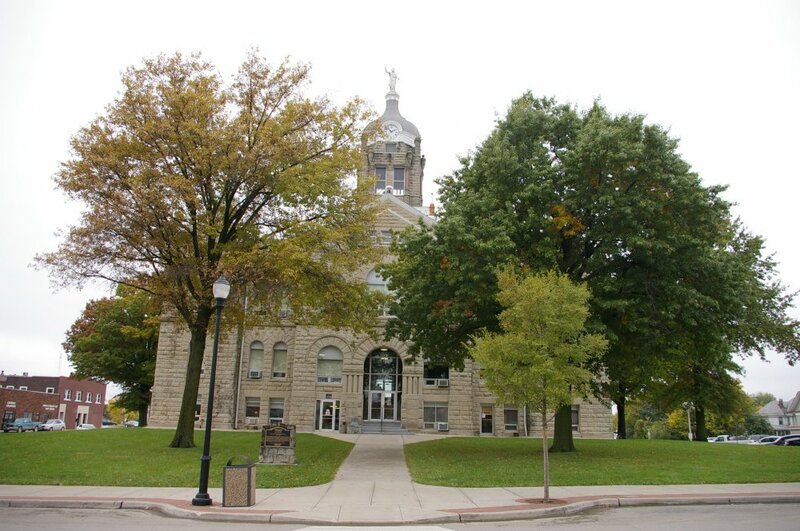 The building is located on the Old Public Square. Note: After 1871, the Old Courthouse was used as a school, a church, a courthouse again for a year, and finally a private residence during which time it was repeatedly remodeled. 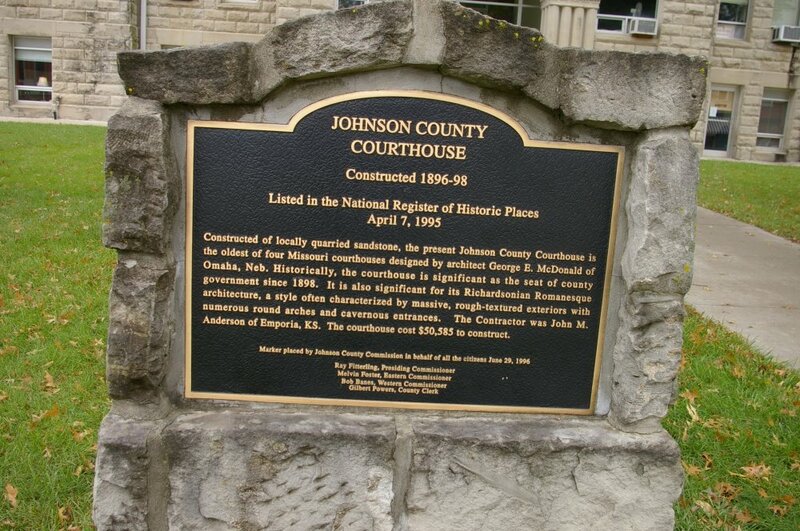 In 1965, the Johnson County Historical Society purchased the property and began restoration and preservation efforts guided by the original specifications.